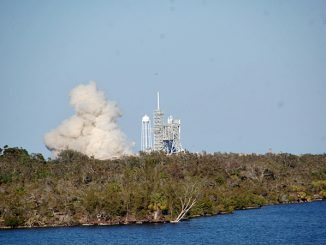 Nine Merlin engines ignited and throttled up to nearly 2 million pounds of thrust Sunday during a brief hold-down firing of SpaceX’s Falcon 9 rocket, sending a plume of smoke out of the flame trench at Kennedy Space Center’s historic launch pad 39A as the company preps for a space station cargo mission next weekend. 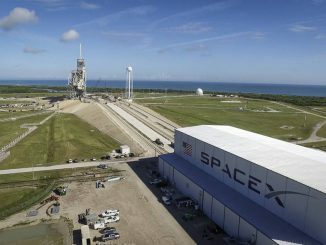 A Falcon 9 rocket is being readied for a space station resupply mission at Kennedy Space Center’s launch pad 39A . 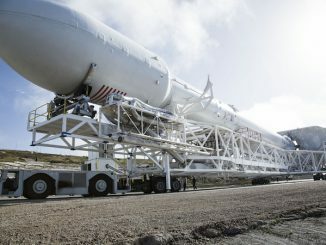 The rocket is scheduled to launch at 10:01 a.m. EST (1501 GMT) on Saturday, weather permitting. Watch live coverage. 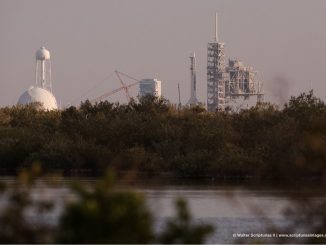 SpaceX engineers are preparing to mount a Falcon 9 rocket at Kennedy Space Center’s historic launch pad 39A for the first time this week as the company declares the modified facility ready to support a new era of commercial space missions. 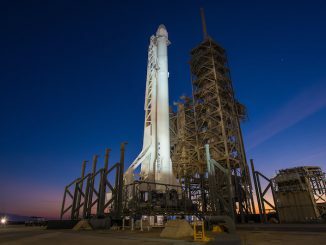 Investigators probing the Sept. 1 explosion of a SpaceX Falcon 9 rocket on its launch pad in Florida believe a high-pressure gas tank inside the launcher’s upper stage most likely burst due to the conditions of the helium loaded into it, a finding that could simplify fixes needed before the commercial booster can return to service.